Without stress hormones we wouldn’t survive; however, when you have asthma, too much stress can make your asthma worse. In fact, too much stress can trigger an asthma attack. When the stress hormones are at work your body gets ready for an attack, just as if a bear were about to chase you. Your body can’t tell the difference between being anxious over the bills and being attacked by lions, tigers and bears. Cortisol and other stress chemicals cause that panicked feeling. You get short of breath; you’re frightened, and your emotions have gone into overdrive. If you have asthma, being in a state of extreme stress will likely cause an asthmatic episode. 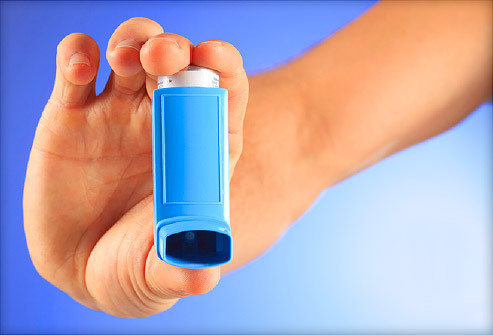 For the asthmatic, there seems to be a vicious circle of stress, anxiety and asthma symptoms. Stress causes anxiety and asthma symptoms and asthma medication causes anxiety, which causes more stress. For most people, asthma is brought on by triggers, and in many cases chronic stress may be the trigger. Chronic stress can wear down the immune system, as well. Asthma, for some people, may be an autoimmune disorder; stress may be a factor in lowering the ability of the immune system to stay healthy. Whether asthma is caused or affected by stress or some other trigger, the symptoms are the same. Asthma causes the lining of your airways to become inflamed and swollen. Due to the swelling and inflammation, the smooth muscle tissue in the airways constrict, causing the airways to narrow. Inflammation of the airways causes a production of mucus to form, which also helps to occlude the airways. As a result of these things happening, you start to cough and have difficulty breathing. You may hear wheezing in your chest. Many individuals have asthma and don’t know it, because they either don’t go to the doctor for a diagnosis, or they are diagnosed wrongly. Many people with asthma appear like they have emphysema, bronchitis or pneumonia. In fact, it is possible to start out with asthma and end up with bronchitis or pneumonia, because once the inflammation sets in to the airways, the immune system can be weakened to the point that an infection begins in the respiratory tract. Stress does not cause asthma, but it can trigger it. No one actually knows what causes asthma; it may be partly in the genes and partly due to environmental factors. Exposure to certain triggers, such as cigarette smoke, pet dander, and dust mites can bring on an exacerbation of asthma symptoms. Stress is another trigger that, when you are exposed to stress, can worsen symptoms. Since, no one knows what exactly causes asthma; it was once thought to be psychosomatic, or “all in your head.” Now doctors and researchers know that asthma is a real disorder. If you have a parent with asthma, it is very likely that you will also have asthma at some time in your life. If you are a smoker, it is also very likely that you will have asthma symptoms, and have increased respiratory infections. Exposure to cigarette smoke is a very common asthma trigger, as well as a common cause of respiratory illnesses. To summarize, stress doesn’t necessarily cause asthma; however, stress can trigger an asthmatic event. The presence of increased levels of stress hormones in the body can cause you to feel anxious, short of breath, and you may start wheezing. The wheezing is caused by the tightening of the tubes in the respiratory tract. If you are a person who reacts to stress with shortness of breath and wheezing, you are likely to have asthma symptoms. The best thing you can do is try to avoid stressful situations as much as possible.